This morning was going great. I woke up early at 6 AM and finished packing for my midday flight to Florida. Before going to the airport I had a quick photoshoot of a breakfast meeting with CNN Political Commentator - Donna Brazile. I had no clue she was so hilarious! 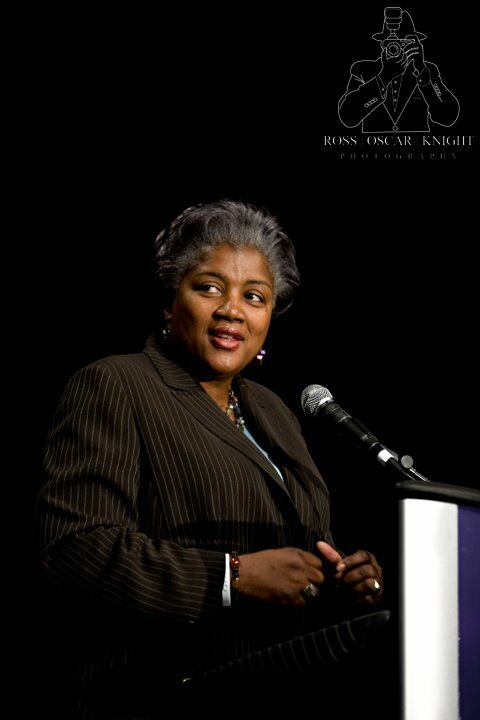 Brazile has been part of every presidential campaign for the last 20 years and was the campaign manager for Al Gore. Check out her resume. Just before I rushed out of the meeting I was pleasantly surprised with a full breakfast display at my disposal. Sweet! Things still going good at this point. Now I am stuck at the airport...again. First there weather delays...then maintenance problems...then cleaning issues...then Delta just started making up stuff for fun. Patience I tell ya. I have a photoshoot down in Florida tomorrow for a couple getting married this year so I need to do some location research. Back to the good stuff - Delta gave me a free pass to the Sky Crowne Room. Glorious! Now I can get some work done and hopefully I will be off soon. I love Donna Brazille. She is funny, I remember when she told Anderson Cooper that he wasn't her boo..LOL She is so cool and she has writtne a book which I'm looking forward to reading.. 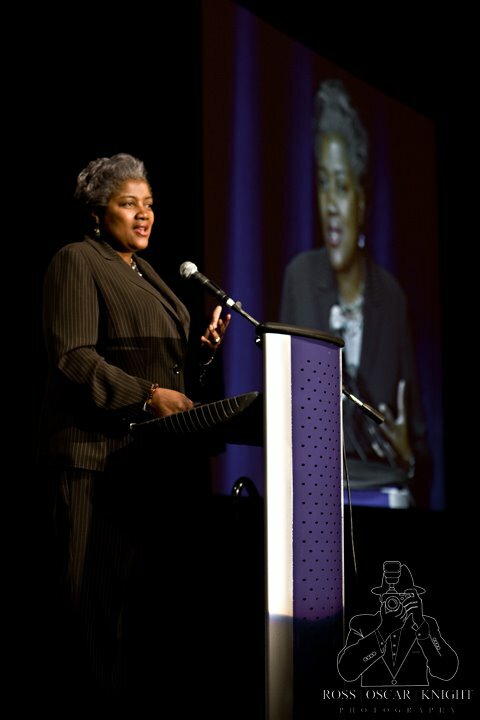 I'm always captivated when I hear Donna Brazile speak. She is very crisp, clear and can break down an issue in plain english! :-) Your images of her are great. Love the passion I see in you and your work. Many continued blessings to you and your wife. eeek, I do hate those flight delays! Meanwhile, I really do like Donna B. She is one of the best and indeed one of the brightest!